If you ever find yourself suffering through a gran fondo blame the Italians, out loud like me with spicy Italian phrases - Che diavola! Merda! Porca miseria! - since they invented big mass participation timed rides. 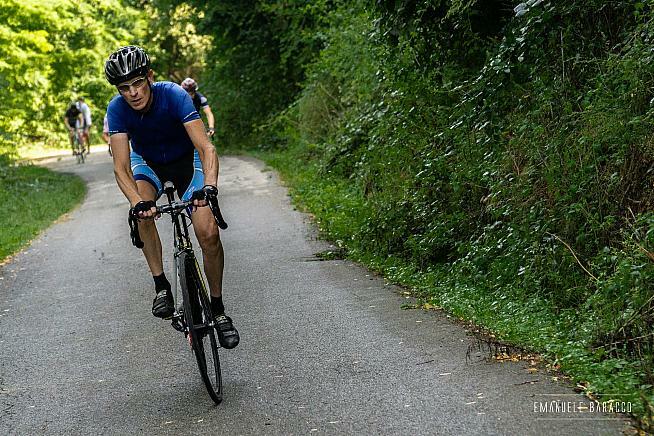 Although I've ridden many Americanized gran fondos, the best way to experience something is direct, from the source, so I'm in Italy riding an authentic Made in Italy gran fondo - Gran Fondo San Maurizio in the Piedmont region, or as they say "peh-ah-MON-tey." One of the upfront differences between American and Italian gran fondos is cost and schwag. American events are pretty pricey and you're lucky to get a water bottle and wrong size polyester t-shirt. Italian events on the other hand are only about €30 and come with a bag chock-full of Italian goodies. 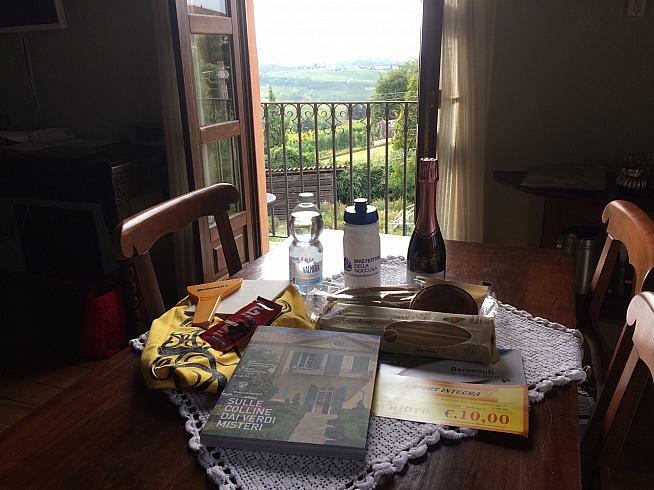 San Maurizio's schwag bag includes wine, sparking water, pasta, bread sticks, cake, 100% cotton t-shirt that fits, €10 gift card, water bottle, ice scraper, sport gel and a guide book extoling the virtues of the Piedmont. Make it to the finish and you also get a gourmet meal and more wine...Italians like wine. 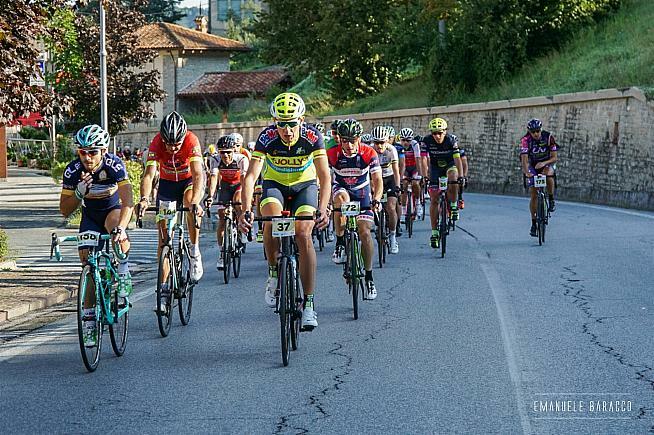 Gran fondos are huge in Italy, many with thousands of riders starting en masse. San Maurizio isn't one of these super-sized events. It's a small regional gran fondo off the beaten path, put on by Italians for Italians and a few Europeans, plus two jet lagged foreigners - an Australian and me vying for "furthest traveled award", I finish 2nd. Smaller doesn't mean easier though. 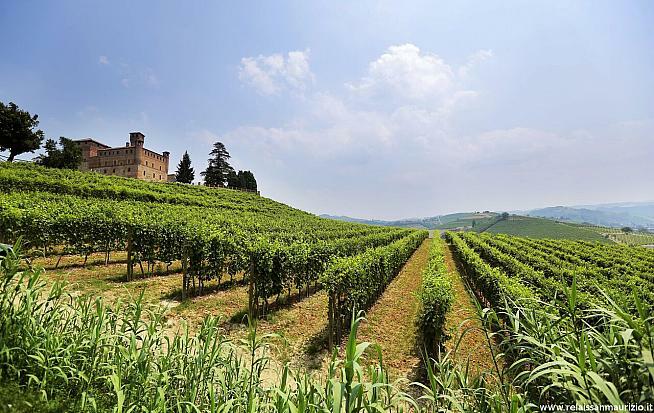 Italian gran fondos are seriously business, events are certified by the Italian Cycling Federation, at least 75 miles long and are chip timed start to finish with prizes for fastest riders in each category. 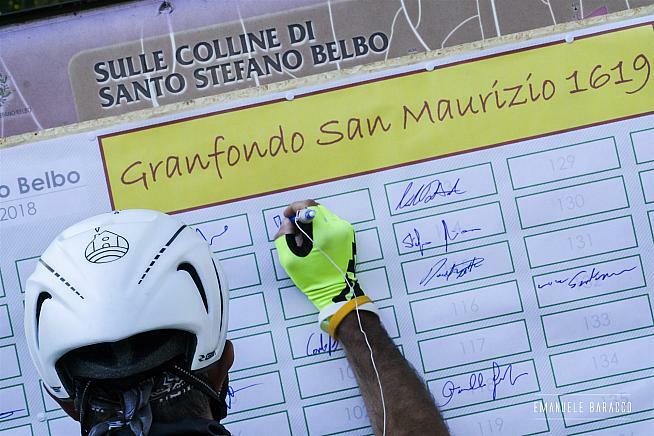 With 8,000 feet of climbing in 80 miles Gran Fondo San Maurizio is pretty typical, except at registration where riders ink their name on a public sign-in board just like at the Giro di Italia. I scribble my name nonchalantly, try to make it look like I've done it a hundred times, unfortunately I sign the wrong line ... rookie mistake. Waiting for the start of an Italian gran fondo is a painful long-drawn-out ordeal. 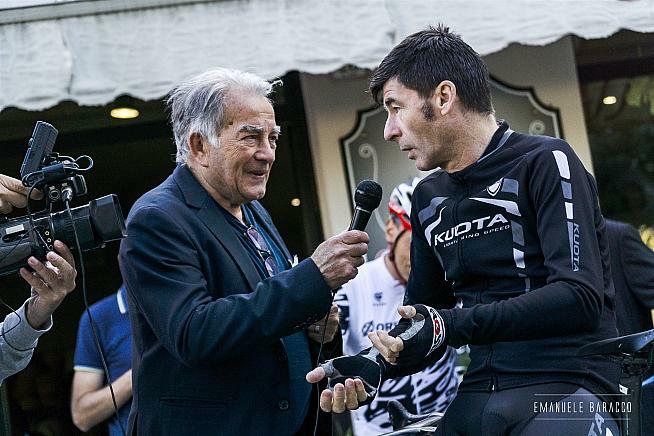 While riders shiver the mayor talks for 30 minutes introducing local cycling celebrities Gianni Bugno and Roberto Conti, regaling us with their countless victories ad nauseum. To me it sounds like adult dialogue from a Peanuts cartoon, "Mwa-Mwa-Mwa-Bugno-Mwa-Tour de France-Mwa-Mwa," but it's pretty cool to line up and rub elbows with legends. Italy has lots of mountains with every road seemingly going up or down - mostly up. If you want flat go to Italy, Texas. With cool named climbs like Torre Bormida-Bergolo and Rocchetta Belbo-Sant'Elena on roads as steep as walls, my plan is to go slow, just as fast as I can. 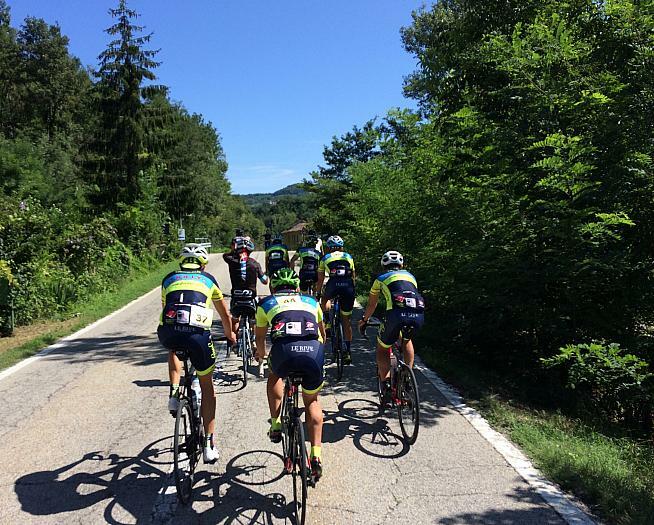 Undoubtedly Italian gran fondos provide top-notch support, much more than your average stateside event. With rolling enclosures, shoulder-to-shoulder road use, right-of-way at intersections, poliziaescort, neutral support, aid stations, bottle hand-ups and follow ambulances - just in case things go awry - all you need to think about is turning pedals over. But the best part of an Italian gran fondo is the people. Italians love cycling like Americans love baseball. Entire villages stand roadside like a World Series victory parade, cheering not just the first rider, but every rider in search of personal glory. Cars respectfully pull to the shoulder and wait patiently for the peloton to pass, while drivers call "Allez! Allez! Allez!" It feels like the whole country is along for the ride. And after the racing and the riding and the eating and especially the drinking is done, Italian gran fondo riders, just like their American counterparts, relish in telling tall-tales of their accomplishments to anyone who will listen. If you've never done a genuine Made in Italy gran fondo, add one to your bucket list, there is no substitute for the real deal. Salute and most of all enjoy the ride. What's on your bucket list? John is a former faux pro racer now enjoying life as a faux pro journalist in search of great bucket list rides to keep him in shape and out of trouble - well, at least in shape.